Social media sites like Facebook have been quite helpful for businesses to promote their products and services throughout the world in a cost-effective way. However, many business leaders would block Facebook in their offices. This has led to a big debate in the market where both advocates and critics have their own points of view on blocking Facebook in the office. A recent study, ‘Killer Apps 2012,’ has revealed that 67% of CIOs prefer to block Facebook. It was followed by other popular sites like YouTube (60%), Twitter (47%) and other videos sites (56%). The research was conducted online and more than 550 respondents from different backgrounds, including CIOs, IT directors and consultants took part in it. In support of their resistance to Facebook, CIOs and IT consultants have a number of things to say. According to them, employees get distracted by Facebook chat and share confidential information about the company. Facebook has also been blamed for a number of interpersonal conflicts in the office where employees crossed boundaries and shared something insulting about co-workers. On the other hand, advocates of Facebook have a different point of view in this regard. It is beyond a doubt that social media sites like Facebook and Twitter can be helpful for a business since they can attract a diversified audience throughout the world, especially generation Y. There is a big market segment that knows the world only through the Internet. It would be difficult for companies to target a worldwide audience without Facebook. In addition, some studies on this topic have revealed that blocking Facebook actually demoralizes employees and makes them less productive. It has become a big dilemma for businesses throughout the world. Although many companies have opened up to Facebook, there are still many companies that resist allowing employees to have access to this social media platform. 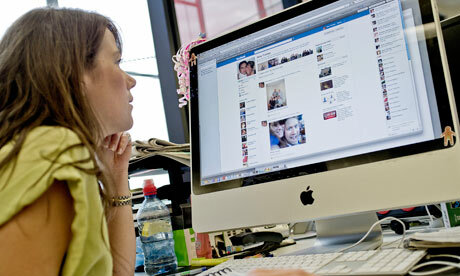 Do you have Facebook open for use in your office or do you prefer to block it? We are interested in knowing what most businesses in our region think about the use of Facebook in the office.